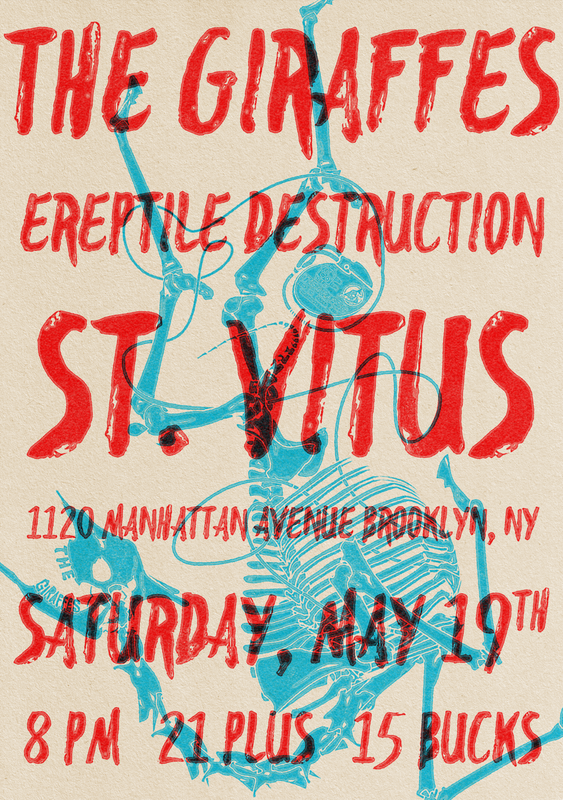 the Giraffes w Ereptile Destruction at St Vitus — ! This will be the final show with Josh Taggart on bass. Join us to celebrate his impending super stardom.